We went to Exeter at the week end to the Hobby & Stitches craft fair. There was so much to see and do. 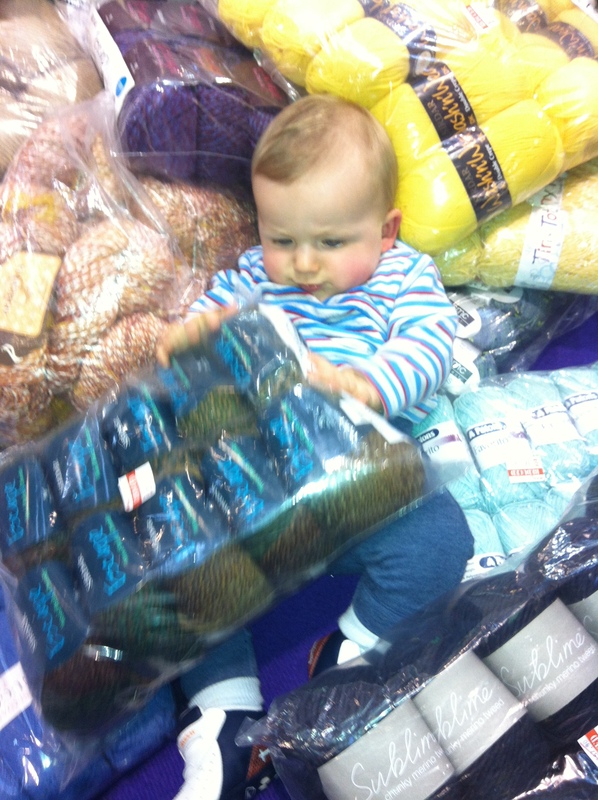 My nephew James had a whale of a time in amongst the wool. This is a gorgeous quilt I really want to make one like this!